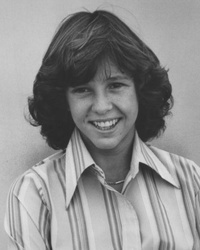 Christina Ann "Kristy" McNichol (born September 11, 1962) is an American actress and singer. McNichol is known for her roles as Letitia "Buddy" Lawrence on the television drama series Family and as Barbara Weston on the sitcom Empty Nest. She is also the sister of former child actor Jimmy McNichol. McNichol retired from acting when she was diagnosed with bipolar disorder in 1992. This webpage uses material from the Wikipedia article "Kristy_McNichol" and is licensed under the GNU Free Documentation License. Reality TV World is not responsible for any errors or omissions the Wikipedia article may contain.